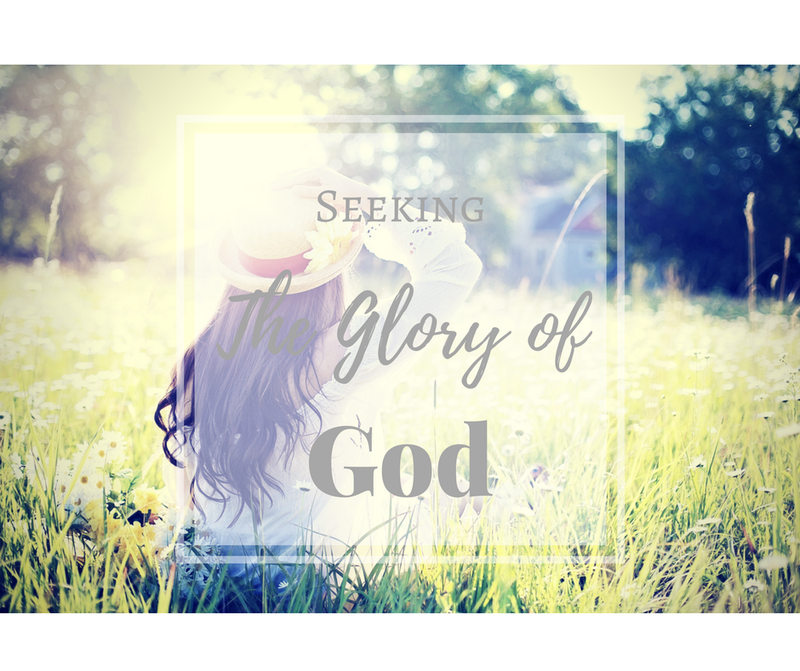 Seeking the glory of God. Have you ever long for a touch from God? The kind of touch that brings you closer to Him and His Glory than you’ve ever been before? My small group at church is going through an Anne Graham Lotz bible study called Expecting To See Jesus and we recently studied Exodus 33 and 34. I can’t stop thinking about it. What kind of glory causes us to be radiant? So radiant we have to veil our face? I have been in the wilderness for so long and now I have come to a place in my life where I just want to bask in the glory of God. I want to spend time just getting to know God and His character and move into a much deeper relationship with Him. I want to be able to tune the world out, trusting that He will take care of it while I worship at His feet. I want Him to call me friend. My heart’s desire is to become empty of myself and be filled with him. I have never been in this place before. I’ve thought that I’ve been here before, but I haven’t. I thought I longed for God with everything in me, but I until today, I really haven’t. I am now desperate for God. I want to experience His glory in such a way that I need to be veiled. I want to be in such a place that I’m completely free. I want to realize God in such a way that worship is automatic. I want to have such an intimate relationship with Him that my heart FULLY trusts in Him. I need to come to the full realization of His love for me. I want to know Him in such a way that my love for Him flows effortlessly from my mouth. I want to breathe Jesus.